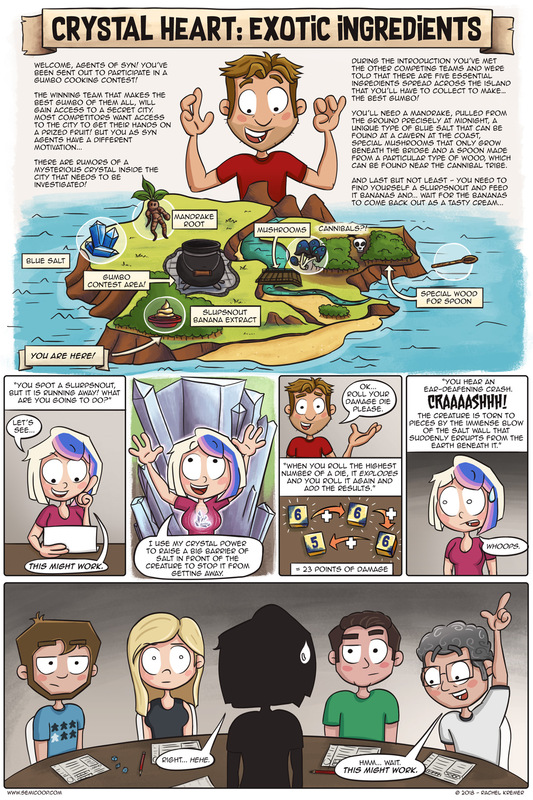 Ok, this is probably the ‘biggest’ Semi Co-op comic I’ve ever made (and please don’t get used to it, haha) but I just NEEDED to include a map of the island. During the UK Games Expo, we played a Crystal Heart role playing session, lead by Eran from the webcomic Up To Four Players! We’ve mentioned it last week in the blog post, but we wanted to give this awesome experience some extra love. I could just turn the whole crazy fun session into a comic book, but since I’m not going to, I’m going to leave it at this little snippet for you to enjoy. 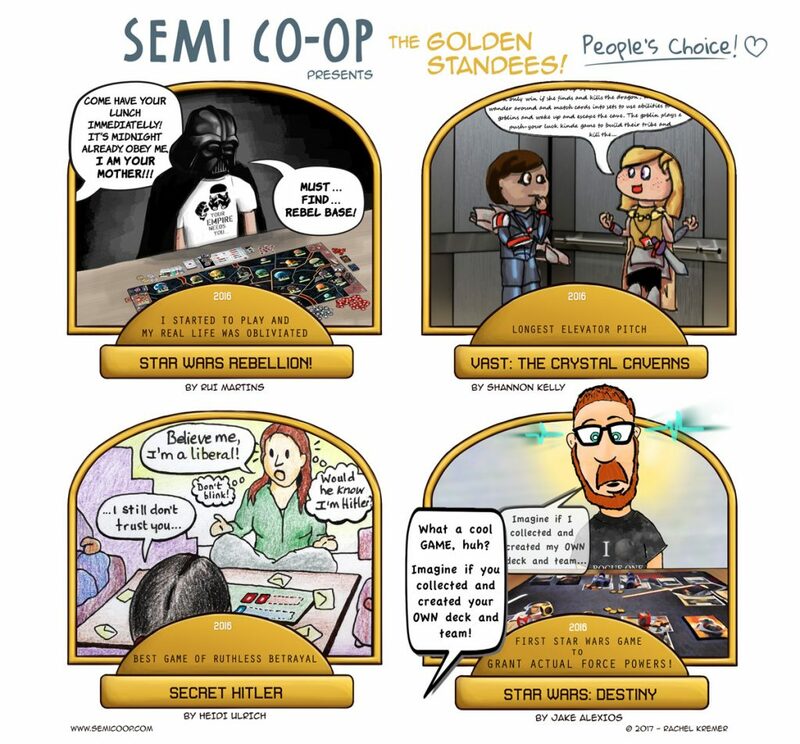 And if you like it, you should really go and check out Up To Four Players’ their Crystal Heart comic on www.uptofourplayers.com to learn about from their Crystal Heart setting using the Savage Worlds system. Switching from fantasy to sci-fi, we were baffled to hear that Fantasy Flight Games have announced that they’re pulling the plug from Netrunner! Even though we aren’t really active players anymore, we’re always up to date on the game and events due to the amazing active Netrunner community in our city. Hopefully, it’s not really the end, the timing of it all seems just wrong. It’s almost time for Gen Con! Or, in our case: Gen Can’t because we’re not going to be there. Nonetheless, we’d like to wish everyone that is going a very good time! What was your most unfortunate event during an RPG session? Its in the midst of happening actually: Our last session left off with all my party mates turning into drooling idiots at the right of some huge elder God tentacly thing, and my character, by far the weakest of the group, left to fight it with some wimpy NPC’s! Wisdom is not a dump stat kids, don’t let them tell you otherwise! I just played DnD for the first time over the weekend, so I don’t have any epic stories. It was pretty funny when my Dragonborn Paladin had made some devastating blows with his war hammer. I dropped my shield to wield it two-handed and deliver the killing swing, and proceeded to roll a 3. Pretty anti-climatic.